Welcome to Japan. Our visit coincides with International Jazz Day. Osaka, Japan has been designated the Global Host City so there will be a lot of Jazz being played here today. Today Jazz Around the World celebrates the ladies of Jazz. Thank you for joining us here in Japan. I hope you enjoyed the concert. We fly back to the States in the morning. If you have time, we may be able to feature one more artist on our Jazz Around the World tour when we arrive in California. April is Jazz Appreciation Month. Support the artists. Buy their music. Go out and see some live Jazz today. Welcome to China. We will be staying in Shanghai for both performances. Today we will be treated to performances by Shanghai Jazz and also singer Jasmine Chen. Thank you for joining us here in China. I hope you enjoyed the concert. We’ll meet at the Internet Airport for an overnight flight. Next stop on our Jazz Around the World tour: Japan. Welcome to the Philippines. Our lineup today features two greats from different eras. Next, we’ll hear from Ms Charmaine Clamor. Charmaine can be found gigging around the Los Angeles area…when she is not out touring the world garnering numerous accolades. She is truly becoming a world-class artist. Her sultry voice and impeccable style is winning – and breaking – hearts everywhere. Her brand of music is something she calls ‘Jazzipino’. You have to hear it to understand how she makes Jazzipino work. Thank you for joining us here in the Philippines. I hope you enjoyed the concert. We’ll meet at the Internet Airport for an overnight flight. Next stop on our Jazz Around the World tour: China. Welcome to Australia. We’re scheduled today to have a couple of artists stop by and play for us. Plus, we’ll hear from a native of neighboring New Zealand who now makes her home here. In fact, she will open our performances today. Thank you for joining us here in Australia. I hope you enjoyed the concert. We’ll meet at the Internet Airport for an overnight flight. Next stop on our Jazz Around the World tour: The Philippines. Welcome to India. Performing for us today is none other than violinist/composer/conductor Dr. Lakshminarayana Subramaniam, better known as Dr. L. Subramaniam. To friends and family, he is known as simply, “Mani”. Dr. L. Subramaniam is another artist whose music came to my attention in the late 1970s/early 1980s. He has gained international fame both for his recordings and the global concerts he has put together. He has over 200 recordings under his belt. Also impressive is his collection of different types of violins. And that Dr. title in front of his name? That’s legitimate; he was a registered General Practitioner before he decided to pursue music full time. Thank you for joining us here in India. I hope you enjoyed the concert. We’ll meet at the Internet Airport for an overnight flight. Next stop on our Jazz Around the World tour: Australia. Welcome to Azerbaijan. We are extremely fortunate today to have royalty in the house. We have two musicians waiting to perform for you today; both are extremely fluent in expressing their culture through Jazz. Both are well known for their mastery of a style of music known as mugam, a complex, ancient style of music found in Central Asia, the Middle East and Turkey. Thank you for joining us here in Azerbaijan. I hope you enjoyed the concert. We’ll meet at the Internet Airport for an overnight flight. Next stop on our Jazz Around the World tour: India. Welcome to the country of Georgia. Today we will drop in on pianist Beka Gochiashvili. Beka is taking the Jazz world by storm. This young artist has already compiled quite a resume…and has the attention of some heavyweights in the Jazz arena. Keep your eye on this young lion. Let’s sit back and enjoy the keys of Beka Gochiashvili. Thank you for joining us here in Georgia. I hope you enjoyed the concert. We’ll meet at the Internet Train Station for the next leg of our tour. 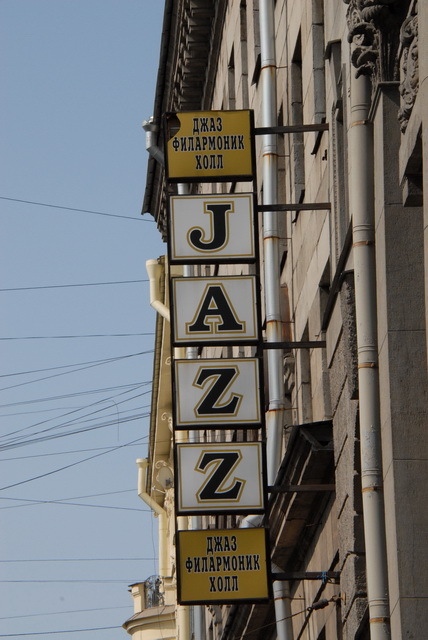 Next stop on our Jazz Around the World tour: Azerbaijan.